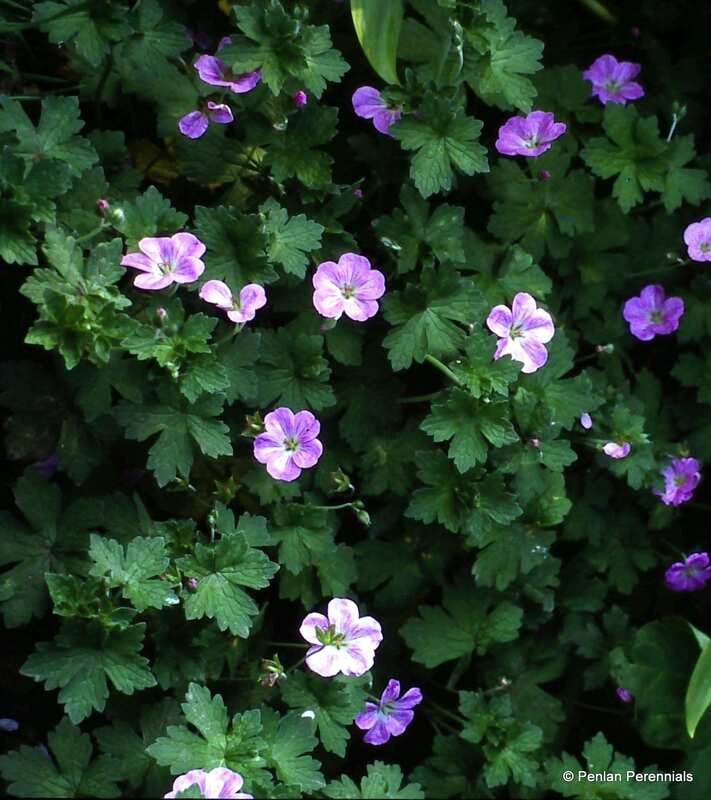 This cranesbill makes low spreading mats of silky, grey-green leaves, covered with 2.5cm/1″ shell-pink flowers all summer. It grows best in full sun at the front of a border. 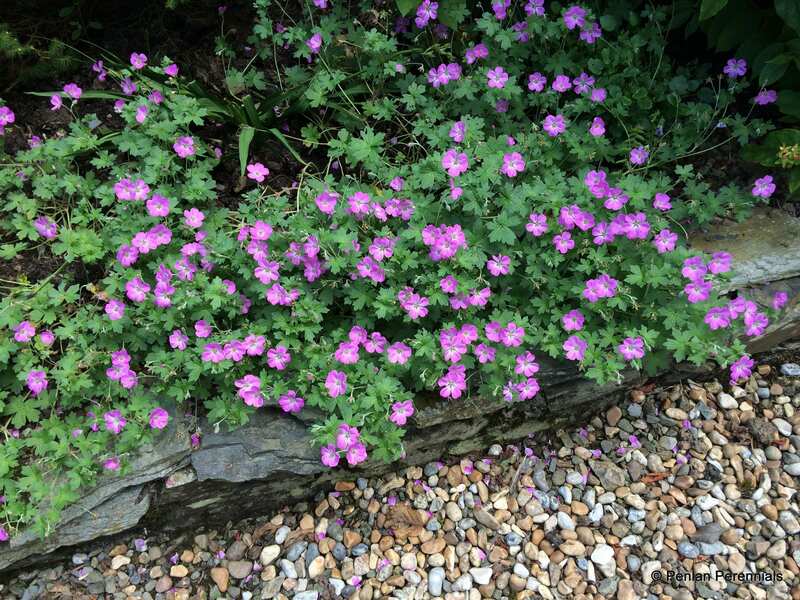 It also makes good ground cover and tolerates dry soil, so can look effective on banks and walls, or in tubs. 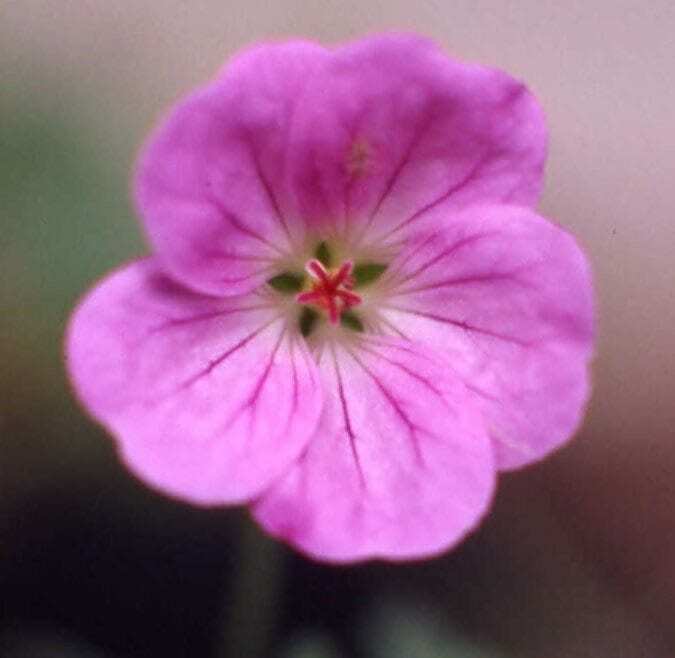 Awarded an AGM at the 2004 RHS Geranium trial. Slug and snail proof. Hardiness rating H4. If you live in an area of high winter rainfall, as we do, it is beneficial to mulch the crown of the plant during winter. Propagate using stem cuttings.